Ever since Clemson crushed Alabama 44-16 in the national title game a disturbing trend has gained momentum. Alabama apologists including some of their own players simply can’t accept that the Clemson Tigers were considerably better than they were. Sorry Mike… I was at that game and while South Carolina did put up 35 on Clemson, but at no point in that game was the final result result ever in doubt. That same South Carolina put up ZERO on Virginia. He used a South Carolina team that lost 28-0 to an ACC team in Virginia and by 3 TDs to Clemson in a real example to try and back his point up. I got a good laugh out of that. Champions are never decided by regular season results anyways. What a simply stupid argument. Clemson had some close calls, yes. Alabama was tied at the half with The Citadel. The Tide also nearly lost to a Georgia team that was boat-raced by Texas. You can run this circular argument for ever. When they played each other Clemson beat Alabama by 4 TOUCHDOWNS. Mentally fatigued? From not being used to playing in the 4th quarter against Alabama’s mighty SEC schedule? Alabama ran through thee SEC like a freight train. They were rarely challenged, and in their closet game with Georgia used a backup QB to win. ClemsonInsider details more Alabama player excuses for the loss and begs Alabama to just own it. Last year Alabama beat Clemson 24-6. 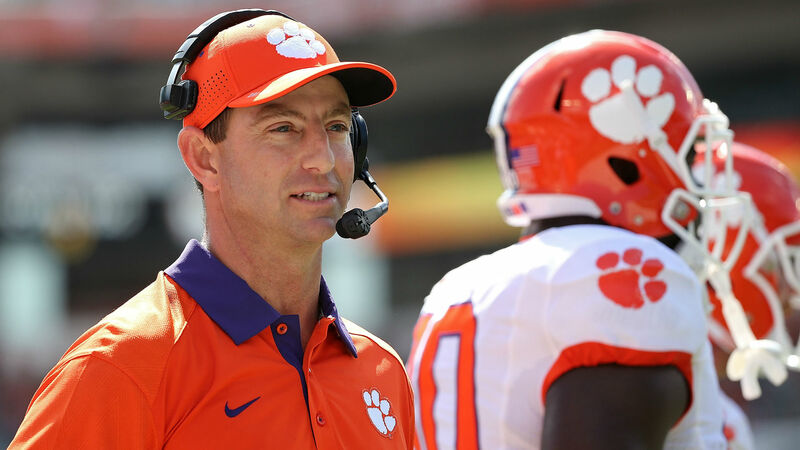 Alabama was the better team in 2017, and it forced Dabo Swinney to reconstruct the makeup of his team to figure out how to beat Alabama next time. A lot of effort has been spent trying to understand why Alabama lost. It’s not complicated. Clemson was better. They were better prepared, made fewer mistakes, executed better, and their in-game coaching was better. That’s typically what superior teams do to inferior ones whether the opponent is Alabama or Rutgers. I suppose maybe if I were an Alabama player still in dis-belief over getting completely stomped in the year’s biggest game, or an Alabama apologist struggling to comprehend what happened I may create imaginary scenarios as well. You are better than this Alabama players and apologists. I haven’t seen this much excuse making since South Carolina QB Jake Bentley in the summer of 2017 said Clemson wasn’t that much better following a 56-7 loss the Tigers. Sometimes you just have give the better team credit and move on.